+Georgie McDougle will be relieved, as she asked "If we miss a class, can we catch it at a later time?﻿" YES, and you can pause, rewind, and play this video again and again as necessary. Molly McKinney says "I've been doing research for over 20 years. 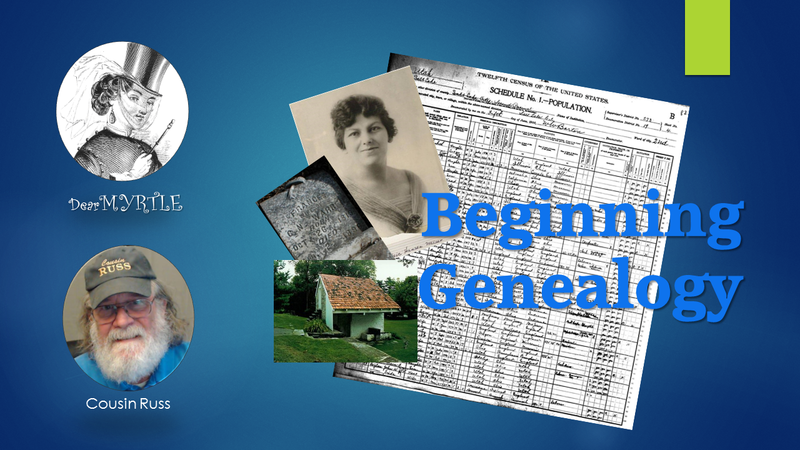 After watching your videos I realized I needed a refresher course as I am totally self taught.﻿"
Erica Madsen says "I'm almost 100% digital, but I'm ordering things like birth certificates for direct line ancestors.﻿"
Kathy Ainsworth says "... moving over to digitizing - keeping only old original documents of direct ancestors that cannot be replaced but making sure they are scanned.﻿"
June Butka says "A slow steady pace is the best practice when doing genealogy. I am doing the Genealogy Do-Over. I have found new documents I didn't realize I had.﻿"